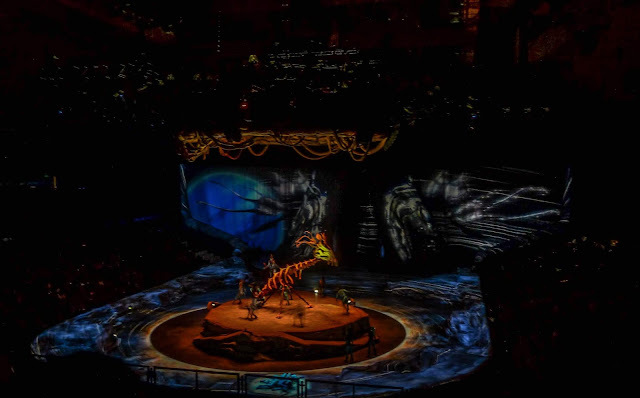 I bought the tickets for the Toruk Show online as the gift of Valentine's day 2018 for the show scheduled on the 23rd of Novembre 2018. Here we go, finally, that day arrived. We reached the Unipol Arena at 8 pm and were surprised to see that parking was costing € 9.00. Anyway, we didn't have time to criticise this matter because we had to hurry and pick up our tickets at the cash point since the show was starting at 8.30 pm. Once got them, we run faster to the galley. We had a very little time to buy something to eat (chips €3.00, sandwich € 6.00 and water bottle €2.00) before reaching our seats. The show started on time. This was my fourth time with the Cirque Du Soleil, they always have been punctual. 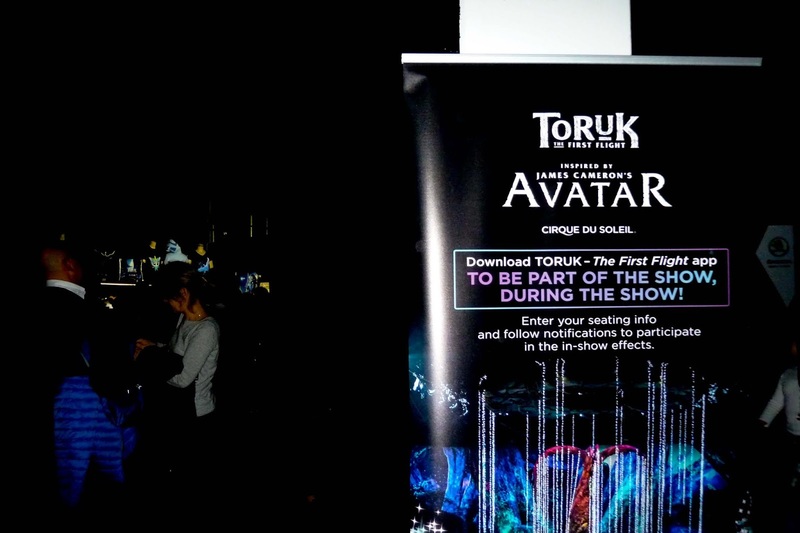 "Toruk, The First Flight" show is inspired by James Cameron's Avatar, therefore I imagined the choreography exactly like in a movie. Indeed I was right. Actually, it has been better than the movie, we experienced the world of Avatar like we have never imagined or seen before. The spectacular choreography made me speechless. 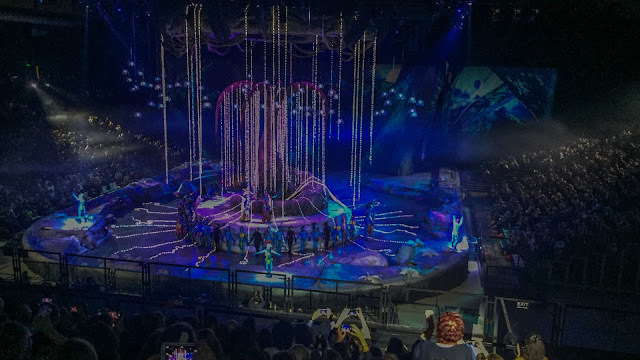 Like all their shows I have previously seen, also Turuk was meant to entertain the whole family, they brought to the stage, fantasy, magic, romance, music, dance, style and technology. It has been two good hours spent surrounded by talented people. The stunning choreography for each scene is something that you will never forget. This is the most narrative show that the Monreal circus, Cirque Du Soleil, has ever delivered. For the first time in their history, they had a narrator on stage. He spoke in the Italian language since we were in Bologna. Photography without flash was allowed for the first time, I wish I'd known about it before. I didn't see children there, didnìt understand the reason! Probably for the expenses? Or you parents think that some scenes could frighten them? If it for the first reason, then I partially can understand you but I dare to say that it is money well spent. There is no better way to give such a dream experience to your kids. Believe me. I don't even think that some scenes could hurt the children. I do believe that they can see a fairy tale turning to be true. There is one more tip that I want to share with you. If possible buy the front gallery tickets. The Toruk show of the Cirque du Soleil seen from there is absolutely better than the side seats. 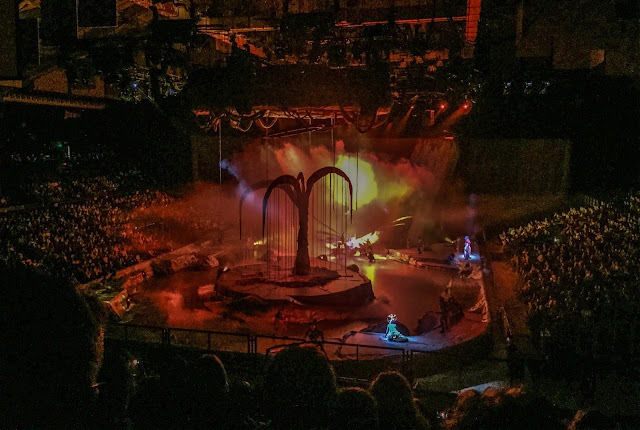 What an interesting show, I love Cirque Du Soleil!